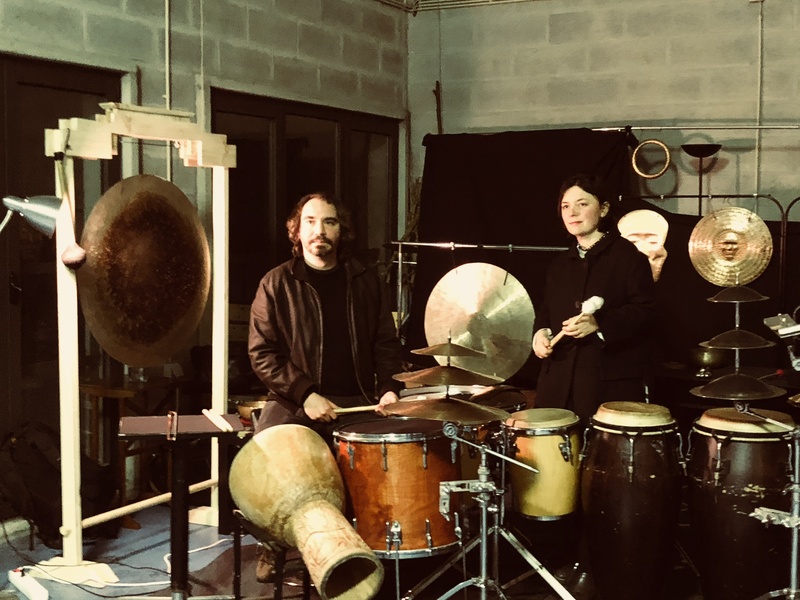 CZN stands for Copper, Zinc and Nickel, the raw materials used by percussionist and sculptor Joao Pais Filipe to make gongs and bells in his portuguese studio. CZN is also the alchemical sound of Joao in collaboration with percussionist Valentina Magaletti (Tomaga, Vanishing Twin, uuuu). The duo create rich tapestries of hypnotic rhythms, evolving the sound of drums and percussion into vivid textures: visceral timbres and telescoping rhythms that surround and beguile, and which hint at the meditative states of spiritual jazz as much as the cerebral counterpoint of Minimalist Composition. Beginning with a one off recording session in Porto in Spring 2018, the duo have crafted a debut LP that will be released as a collaboration between Porto’s Lovers & Lollipops collective and Tomaga’s Negative Days label in November 2018, including a launch party at Cafe Oto on 17th December. For more information about CZN or for booking availability write to Tom.